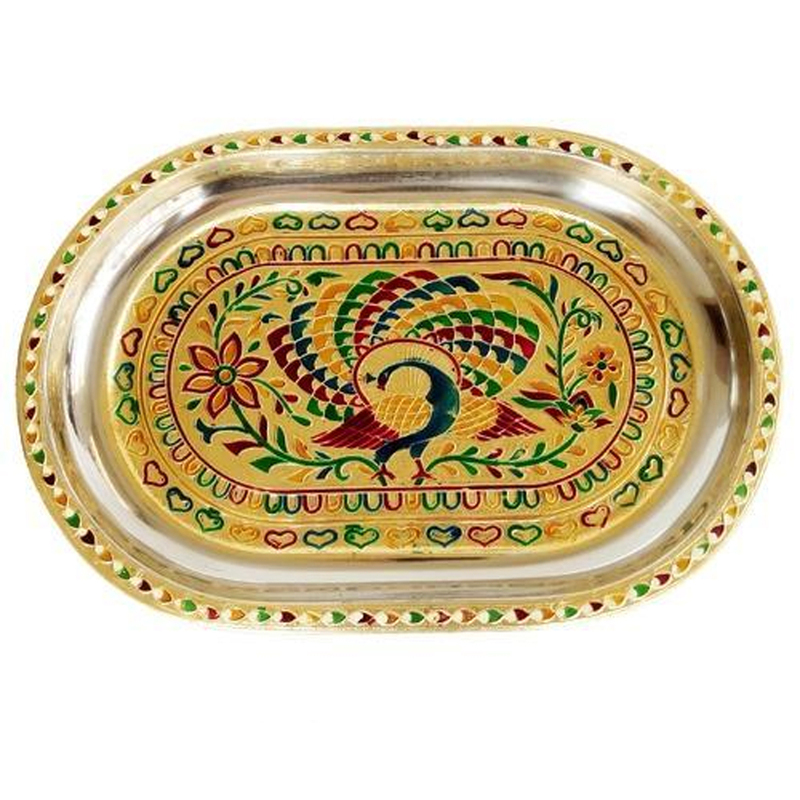 This steel tray is oval in shape and is aided with colorful meenakari work. Intricate and beautiful designs help making this tray attractive. This tray Read More..helps in beautifying your place and has a touch of traditional beauty. It represents the details of rajasthani handicraft and increases the richness of your house. You can either gift it to someone during occasions or use it yourself during several auspicious occasions. Show Less..